Current Certified HypnoBirthing Practitioner Order Form. PLEASE NOTE: All 5 & 10 packs are shipped priority, flat rate, all S&H built into price. DISTRIBUTION CENTERS: All book sets shipped from the U.S. Distribution Center include the U.S. 4th Edition of our book, and your choice of Rainbow in CD or Download Card format, in either Mickey (Original/American) or Sam (British accent) versions. All book sets shipped from the U.K. Distribution Center, include the updated British Version of our book, with the same choices for CD, download, Mickey or Sam. Note: Your shipping address will determine, the products and prices you see. PLEASE READ: We have a selection of products that can be added to your order with FREE Shipping, but ONLY if you have purchased a 5 or 10 pack in this order . If you choose yes, the currently available products will display. If you choose no, you can submit your order now. *If you want to purchase any add on products without buying a 5 or 10-pak, please contact George in the New Hampshire Distribution office at distribution@hypnobirthing.com and he can help you place your order. You will be required to pay shipping for whatever items you purchase, and shipping for a few single items to another country outside the U.S. can be expensive..
Click here to view “PLEASE! 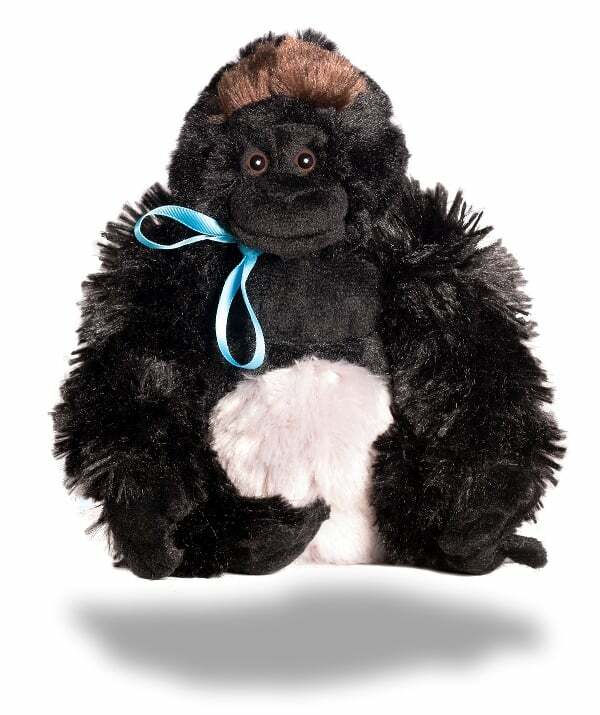 Only happy birth stories… My baby is listening.” 10 buttons per pack. 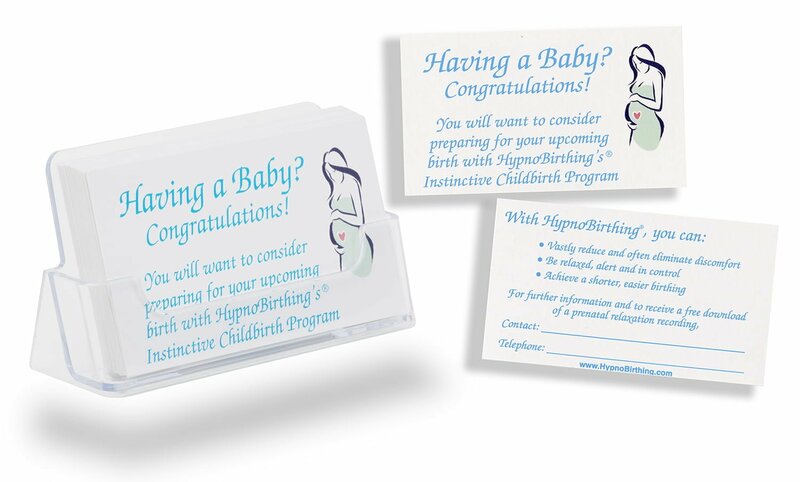 Having a Baby Marketing Card. Each pack contains a set of 30 cards with free plastic holder. Click here to view the cards These cards are to be used by the educators similar to what you would do with a business card. They can be used in the office of obstetricians or midwives, baby furniture departments, Babies R Us/Toys R Us, maternity shops, or even just to individuals who are pregnant, or parents or friends of people who are pregnant. The practitioner should write her name and telephone number on the space provided on the back of the card. When a Mom calls, the practitioner should get all contact information and explain to the Mom how to obtain her free download sample of the pre-birth relaxation session. The Mom will need to go to our website www.hypnobirthing.com, go to the store, and click on downloads. She will then enter the password "calm*birth" into the password. This is also the opportunity to invite the Mom to your next informational meeting. 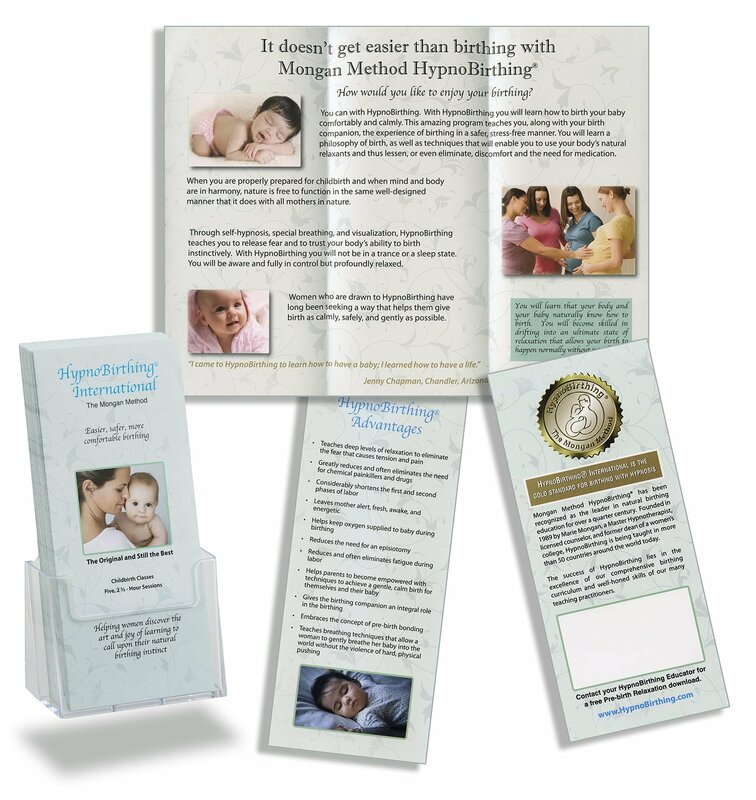 Each pack contains a set of 25 brochures with a free plastic brochure holder. Click here to view the brochure These brochures are to be used by the educators similar to what you would do with a business card. They can be used in the office of obstetricians or midwives, baby furniture departments, Babies R Us/Toys R Us, maternity shops, or even just to individuals who are pregnant, or parents or friends of people who are pregnant. Our International HypnoBirthing Community is represented with beautiful births from around the world. You will enjoy 13 different HypnoBirths in a variety of settings, all illustrating the calm, joyful births that are the result of preparing with Mongan Method HypnoBirthing. A collaboration of healing words and music, for stress reduction, sleep deprivation, and rejuvenation. Words by Alisha Tamburri, Clinical Hypnotherapist and HypnoBirthing Practitioner, who highly recommends this CD throughout pregnancy and after childbirth; featuring music from Alan Roubik’s Seven Chakras & Elements recordings. INSPIRE: Enjoy beautiful images of HypnoBirths set to inspirational music. These images include mothers in various stages of birthing, supportive birth companions and compassionate care providers that will leave your students convinced that they can create a beautiful experience. IMAGINE: More inspiration with lots of photos of loving couples working together during birth. AFFIRMATIONS: HypnoBirthing Affirmations in text from over beautiful images and music. Find the calmness in your day. When was the last time you took a moment for yourself to unwind? Use this CD to reset your nervous system so you can enjoy the feeling of all tension leaving your body. Find a quiet, comfortable and safe place…put your feet up and begin to relax. This CD includes the tracks: Welcome, What is Hypnosis?, Relaxation with music. Letting down your milk for a machine instead of your baby is a skill that is easy to learn. As both a hypnotherapist and a lactation consultant, Robin Frees has the unique background and expertise to help you improve your pumping techniques and increase your milk flow, while experiencing the healthful benefits of deep relaxation. The CD includes the following tracks: Welcome, What is Hypnosis?, Information for Successful Pumping, Guided Imagery for Pumping (20 minutes), Guided Imagery for Pumping (10 minutes), Music Only (20 minutes).